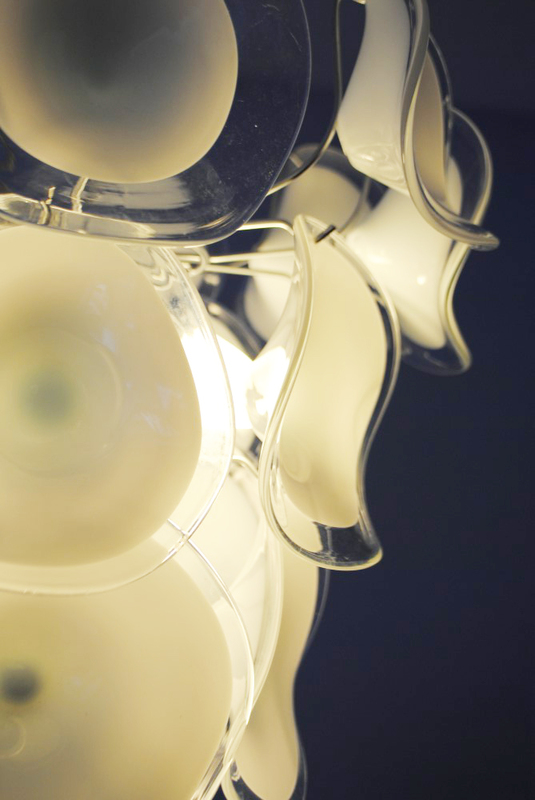 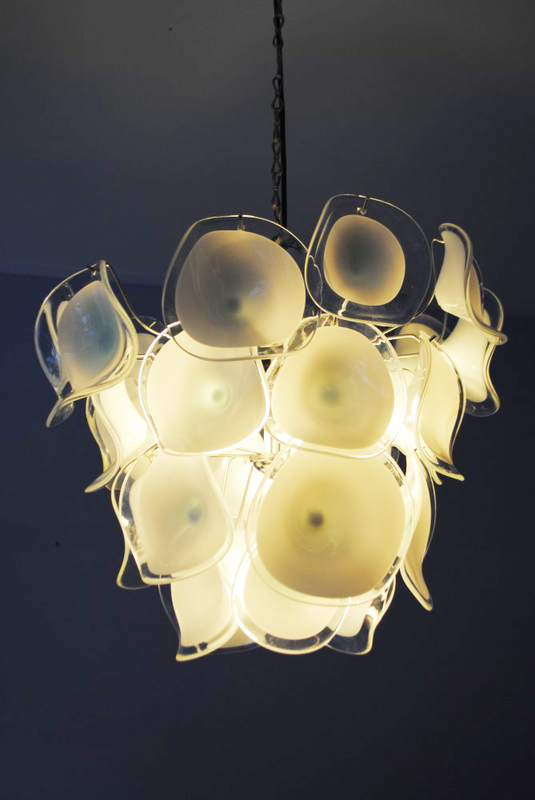 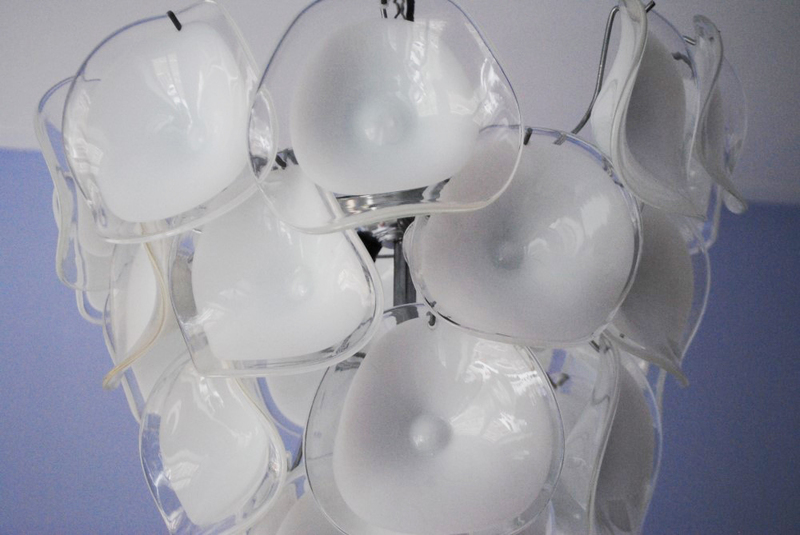 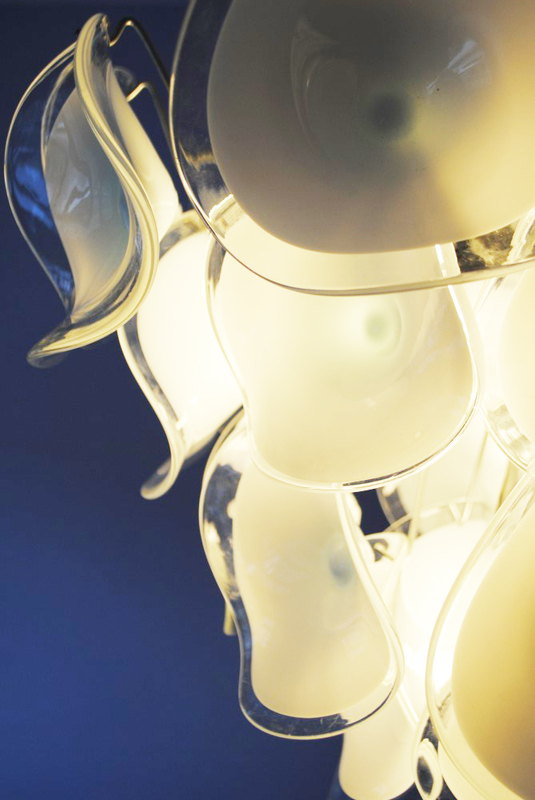 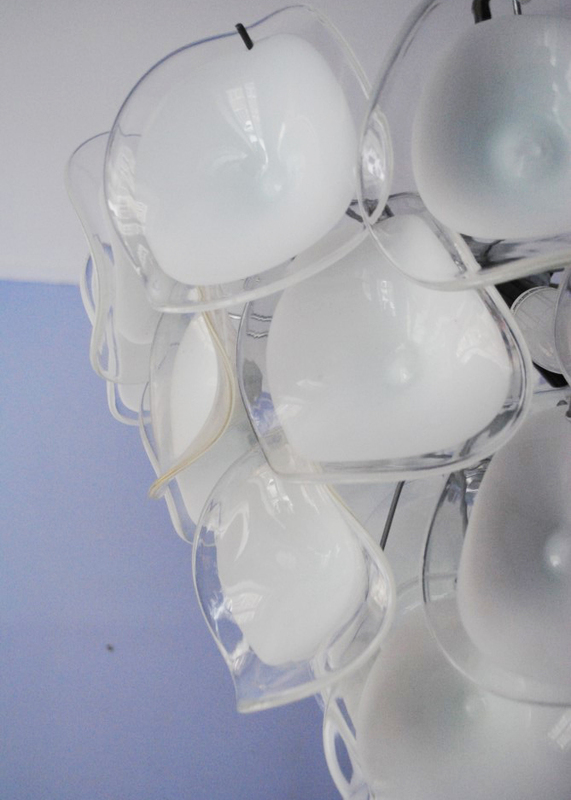 Wonderful chandelier with 28 white and clear glass tear petal shaped hand blown glass elements on a chrome frame. 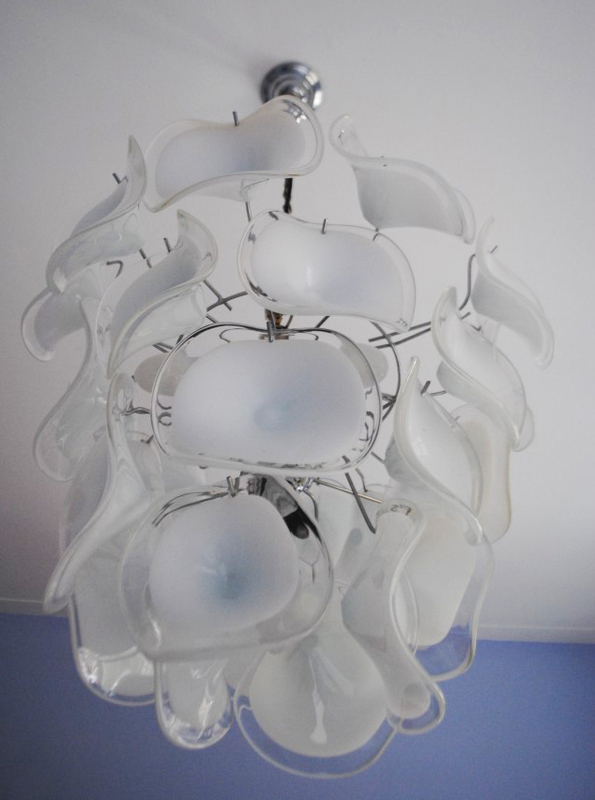 Made by Mazzega (Italy) in the 1960´s. 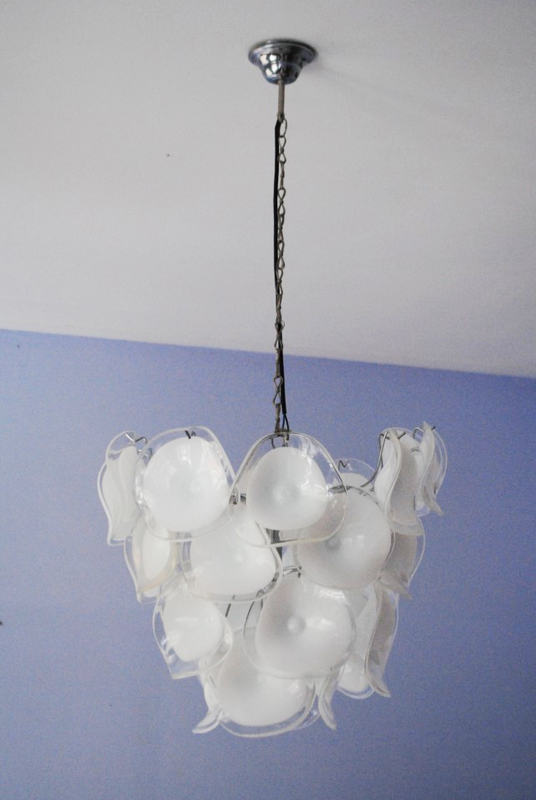 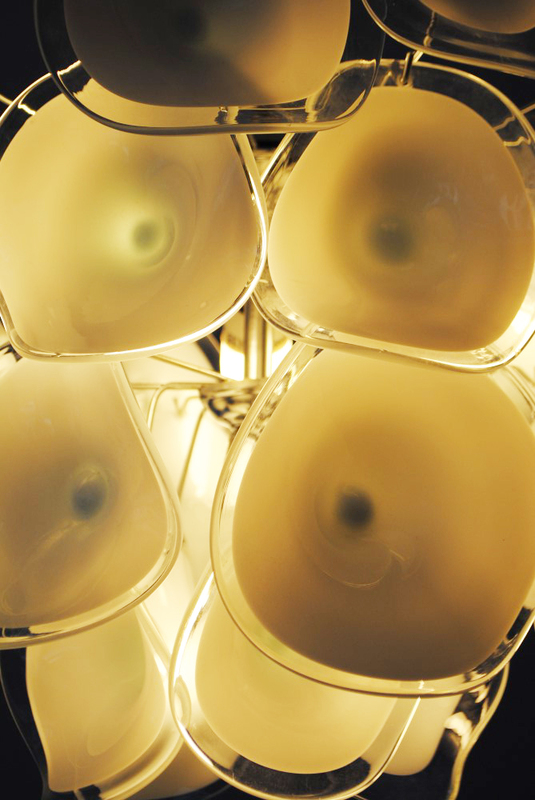 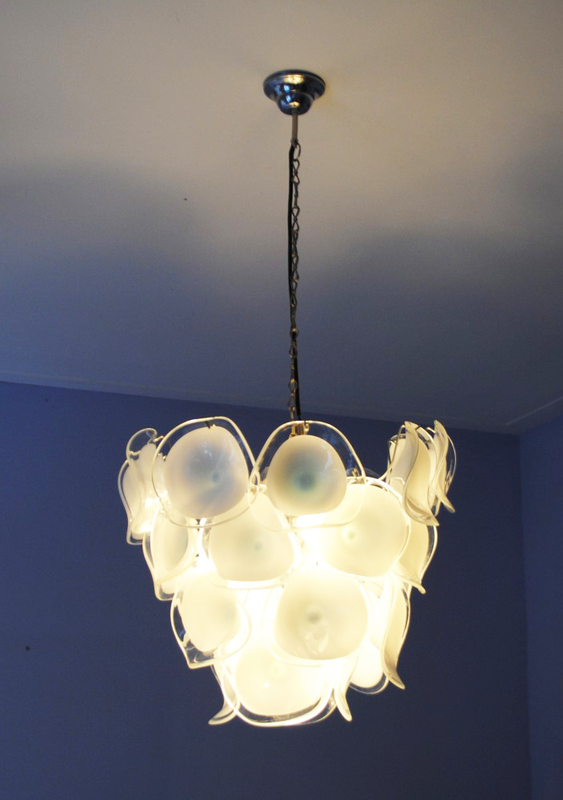 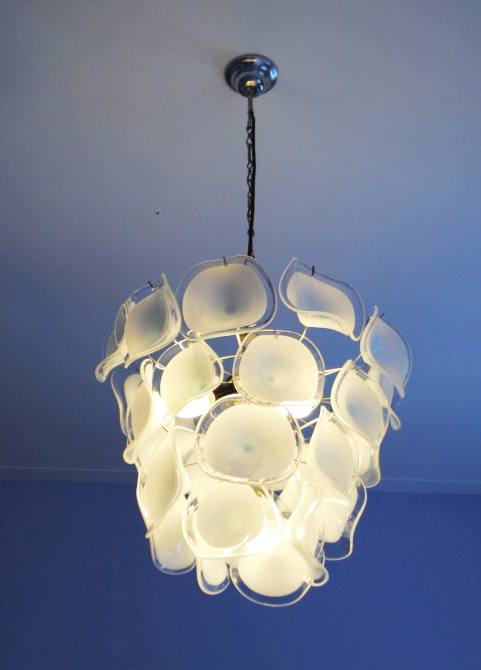 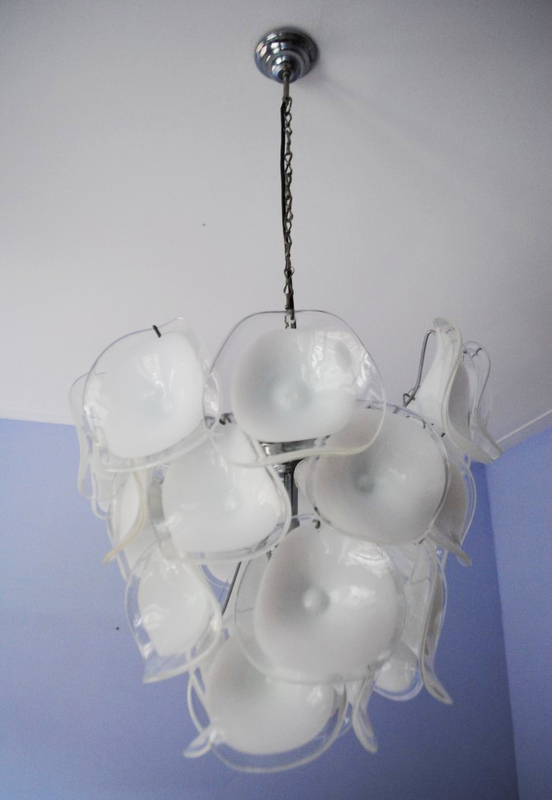 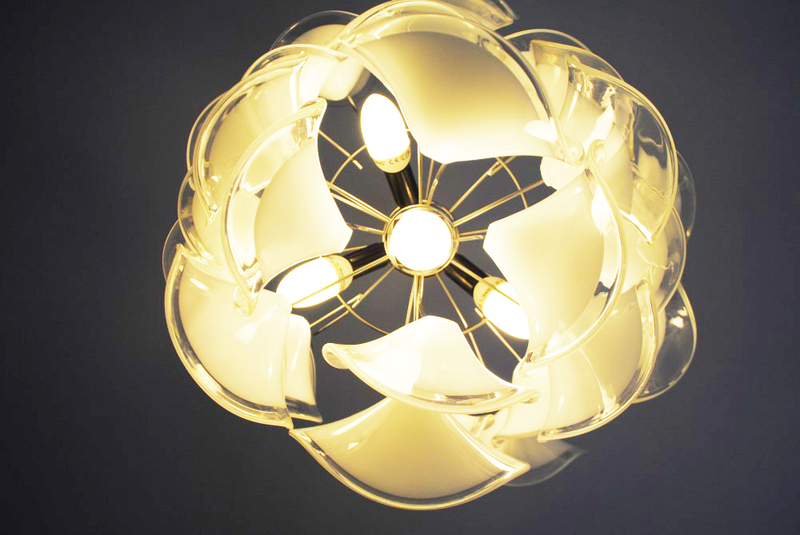 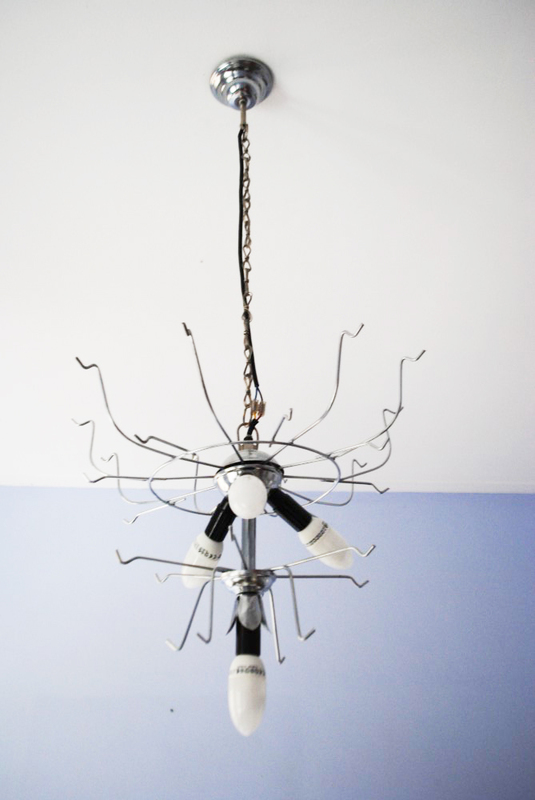 The chandelier holds 4 x E14 bulbs and is in very good condition without chips or cracks.